We believe that responsible tour operators should do more than supporting charities. To us, practicing sustainability or responsible travel means being responsible in the way that we work – it pervades what we do on a day-to-day basis. When we first founded Enchanting Travels in 2004, we wanted to ensure that we have a positive impact on the society and environment in which we operate. We believe that when done well, tourism can be a force for good, whether it is the ability to boost local economies and support communities, or as a way to promote conservation to a wider audience. This belief has always been entrenched in our company vision. To make your travel dreams come true and facilitate journeys to different parts of our amazing planet, it is important to us that we and our guests make a positive contribution to the people and places visited along the way. In recent years, it seems every travel company has been touting its green or sustainable credentials. There have been occasions when we raise our eyebrows at others’ unsubstantiated claims. Let us be clear – we do not claim perfection – and we would question any company that does. We acknowledge that to be a modern-day traveler being “eco-friendly” is impractical, as every step leaves a footprint, however we do value being “eco-considerate”. Join us on our journey today to make a better world for tomorrow. i. What is Responsible Travel? Tourism matters. For every vacation you take, you are contributing in ways that you might not have considered. We want our trips to benefit the host communities and preserve cultural heritage, while having a minimal impact on the natural environment. Meet the Enchanters who are spearheading our responsible travel initiatives in our offices around the world. We consider ourselves purveyors of exotic destinations, yet when we choose to offer a particularly country or region, we do so with a lot of consideration. Travel helps people from all walks of life unite and appreciate each other. Enchanting Travel believes in supporting every community, to provide them with an opportunity to shine. There’s a whole world of accommodation that thinks out of the box. Allow us to introduce you to a few of our favorite examples! Travel opens up new horizons and offers brand new perspectives. We believe that no one should be denied this, certainly not our guests. We ensure that our guests travel to the most beautiful destinations in the world and feel safe and secure along the journey. We are always seeking out responsible experiences that all you to appreciate and support the natural world. 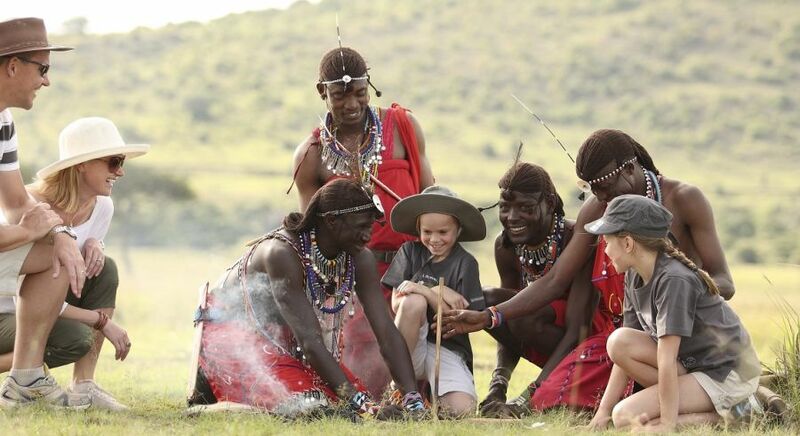 We believe that when executed well, safaris can provide substantial education to people of all ages. We believe in providing opportunities that empower women and address the gender inequality in an industry. We also hand-pick partners who supportive a more equitable playing field for men and women in the industry. We aim to facilitate insightful and eye-opening experiences for you, connecting with humankind at a deeper level, where you’re embracing unfamiliar territory, and learning something completely new about a culture or environment, as well as about yourself. Through the Memory Foundation, we aim to give people in remote areas in Africa who often don’t have any personal pictures a tangible memory of themselves and their loved ones. Your vacation is never just a vacation – it’s a gift to the communities you encounter. Enchanting Travels is committed to creating a positive impact on the societies within which we operate. With our commitment to being a force for good at the heart of our business, we request that all our partners are as equally engaged in responsible ethical and sustainable business practices. Over the years we have forged close relationships with many ethical and sustainable partners who deliver exceptionally enriching experiences across the world. Allow us to introduce you to them! In line with this, we are guided by four Core Values that form the basis for how everyone associated with Enchanting Travels interacts with one another and which we aim to instill in everyone who comes into contact with our company. We are a melting pot of cultures from an array of industries and backgrounds, where personality, passion, principles and professionalism is always prioritized over academia and experience. We regularly review our HR policies and analyze living costs and salaries to see how we can ensure we are fair to our staff. We also expect the same from all our partners. It takes more than just courage to follow your personal dreams: it takes a supportive environment. That’s what we strive to provide. We feel incredibly proud that we have so many well-read, intelligent guides and dedicated, caring chauffeurs working with us and are contributing to the success of our company. We encourage our team members to learn about sustainable tourism through attending local workshops and conferences, and we also invite inspiring organizations to come and talk to us about important local issues. Our Africa and India offices offer internships to youngsters from disadvantaged backgrounds, regardless of their geography. All our teams globally are committed to improving their office environments, through initiatives suggested by individual team members. Responsible Travel extends beyond the ground operations, accommodation and community. It also includes you! The difference between a typical tourist and an Enchanting Travels guest is mindset: by traveling with us you are open and respectful in your behavior and actions. Many of our guests are an inspiration, filled with spirit, soul and determination to make a positive impact on their global travels. We believe in constantly questioning everything so that we can continually innovate and improve our commitment and action to being a Responsible Travel tour operator.